When you visit a multi-dentist practice, you are actually getting the benefit of each dentist’s unique skill and expertise. Every dentist receives basic training in preventive, restorative, and cosmetic dentistry services, during their doctoral studies. Following their degree work, dentists may choose to focus their continuing education on any number of specific areas. At a multi-dentist office, your team of experienced dental care providers can share their expertise, bounce ideas off of each other, and help to tackle complex oral health problems from different angles. In short, visiting a dental office with more than one dentist may lead to superior quality of dentistry services. Skilled in all fields of preventive, restorative, and cosmetic dental care, Drs. 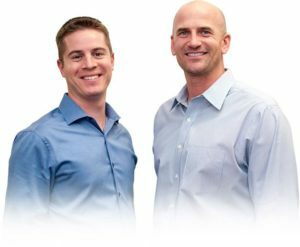 Mauck and Ricci combine their years of training, education, and experience to ensure every patient receives a personalized treatment plan that will exceed their highest expectations. Dr. Matt Mauck earned his doctoral degree at the University of Colorado School of Dental Medicine. He went on to complete the two year FACE (Foundations of Advanced Continuing Education) continuing education program where he gained training and expertise that allows him to provide treatments for TMJ dysfunction, orthodontics, and other therapies for functional occlusion (the way teeth fit and work together). Dr. Andrew Ricci completed his doctoral work at the University of Southern California Ostrow School of Dentistry. Dr. Ricci completed his general dentistry residency at the University of Colorado School of Dental Medicine, and he has gone on to complete training in advanced services like root canal therapy, dental implant placement and restoration, oral surgery, and complex restorative cases. Ready to get started down the road to a lifetime of healthy smiles? Call D’Amico & Mauck, DDS to schedule a preventive dental exam and teeth cleaning appointment today. Our skilled dentists and dental care team look forward to partnering with you to achieve and maintain a healthy, beautiful smile.